This boy is celebrating his eighth birthday. What gospel ordinance can we participate in when we turn eight? 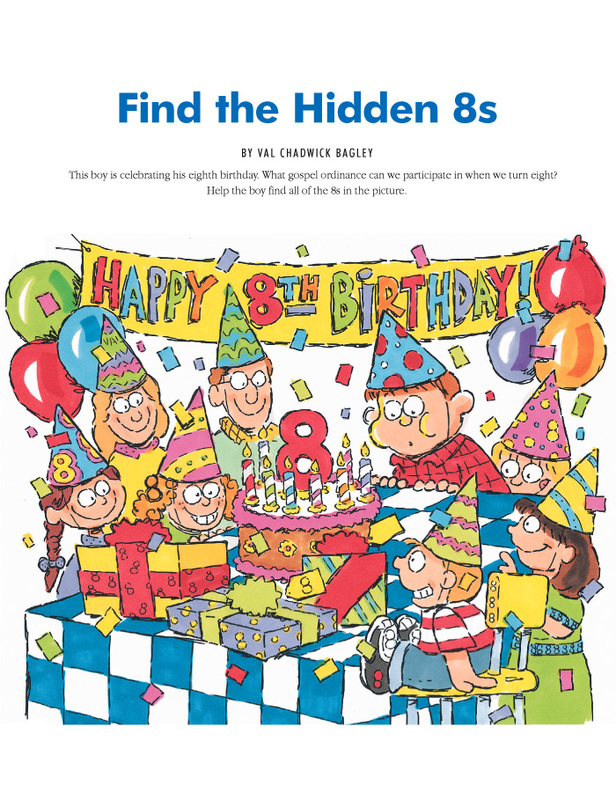 Help the boy find all of the 8s in the picture.